You’re in orbit. What now? 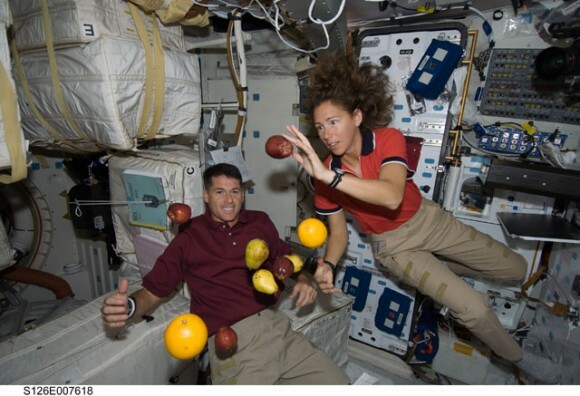 Part 3 of a series on spaceflight. Today, we will dip our toes into the somewhat mind-bending world of orbital mechanics. In today’s post, we will learn why the shuttle’s launch windows are so short, why rendezvous and docking can be so tricky, and why the shuttle that visited the Hubble needed its own standby rescue mission. So, we’ve already discussed just how difficult it is just to get here, and for many purposes, that in itself is enough. There’s plenty of stuff you can do in orbit — any orbit, and many experiments that we’ve done in space are not dependent on where we are in space. But what if we want to visit something that’s already there? Since the Columbia disaster, every manned mission we’ve done has been to visit something already in space. Be it a satellite, another space craft, a space station, the moon, or even another planet, if we cannot control our orbit precisely enough to meet up with another object, then our options in space are extremely limited. 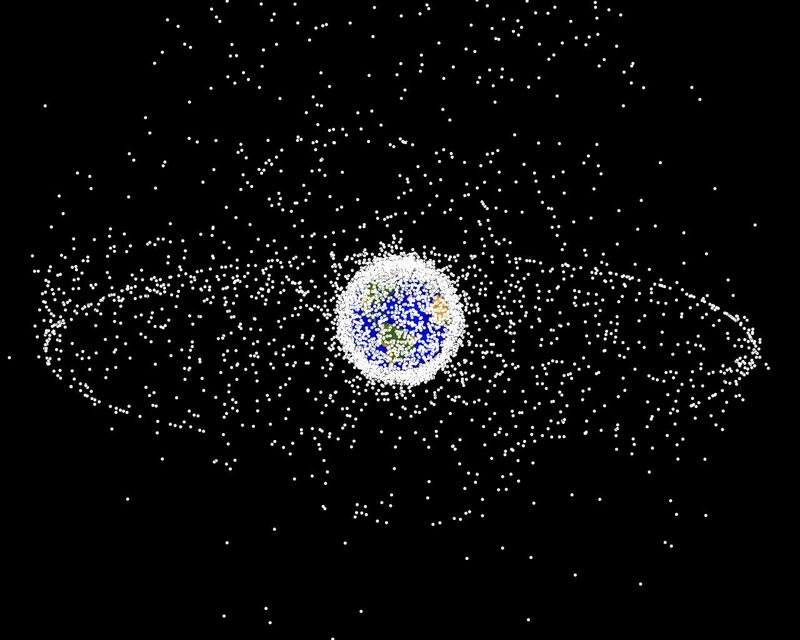 All kinds of stuff in earth orbit -- many, many different earth orbits. So how do we do this? How do we create our orbit such that we can rendezvous with another spacecraft? Space is big. Colossally big. Even the space in low-earth orbit is huge relative to the things we want to visit, and there are infinitely many possible orbits in which we can be. So, to start with, we need to be able to figure out just where we are, and where we want to go. Let’s start then with how we can describe where we are. To pinpoint a location on the surface of the earth, you only need two pieces of information: latitude and longitude. Because you’re restricted to the earth’s surface, and because you can stay in one point on the earth’s surface, this is the only information you need. To pinpoint a location in space, we need a third location, say, the altitude. The problem, of course, is that we aren’t looking for a location in space, we are looking for an object, and as we saw in the first part of this series, any object at a particular location in space will not stay there for long. So we need even more information — we need to know how fast we’re going, and in which direction. That’s three more bits of information we need to consider. Suddenly, determining where we are in space is no longer a three-dimensional problem, it’s a six-dimensional problem. There’s good news, however. We have freedom to choose what these six dimensions are. Based on my description of the problem, it would seem that the most obvious way to choose these dimensions would be exactly what I said — position and velocity. Together, these bits of information can be represented as two three-dimensional vectors, the orbital position vector and the orbital velocity vector . Together, these are called the orbital state vectors, and they are enough to completely describe an orbit. 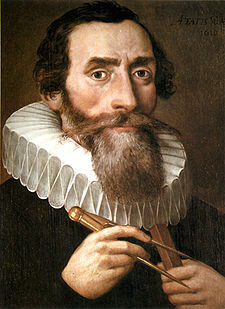 Kepler discovered the elliptical shape of planetary orbits. For practical purposes, however, this is not a very useful way of describing an orbit. Yes, knowing where we are and how we are moving gives us enough information to completely describe what we are doing, but it would be far more useful to find a set of parameters that more directly describes the shape of the orbit. The traditional set is known as the Keplerian orbital elements. Named for Johannes Kepler, who discovered that all of the planets move in elliptical orbits, these orbital elements describe the size, shape, and orientation of the orbit. For a basic two-body problem, such as a spacecraft orbiting a spherical planet, neglecting things like the gravitational influence of other bodies, the orbit will always be a conic section — a circle, an ellipse, a parabola, or a hyperbola, with the body to be orbited at one of the foci of the section. For our purposes, we will not consider parabolas and hyperbolas, which are for escape trajectories. Instead, we will focus only on circles and ellipses. For simplicity’s sake, let’s say that the planet is located at the point on the diagram below. The first parameter we will look at is eccentricity. Eccentricity is a single number that describes the shape of our ellipse. 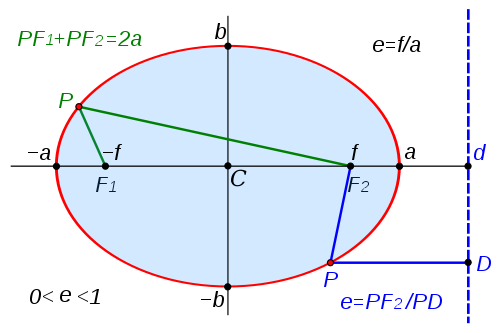 On the diagram at right, the eccentricity is defined by the ratio of the distance between the foci ( and ) and the major axis (the widest distance across the ellipse — from to ). An eccentricity of zero makes a perfect circle. As the eccentricity increases towards 1, the ellipse becomes flatter and flatter. Once the eccentricity reaches or surpasses 1, it’s no longer an ellipse — rather, a parabola or a hyperbola, i.e., an escape trajectory. The next parameter we’ll explore is the semimajor axis. This parameter controls the size of the orbit. This is basically the distance between the point and the point on the diagram. it’s also the average between the apoapsis (farthest distance from the planet center) and the periapsis (closest distance to the planet center), or a representation of the average height of the orbit. Semimajor axis and eccentricity together completely describe the shape and size of the orbit. All we need now is a way to describe the orbit’s orientation in space. The next three parameters give us just that. 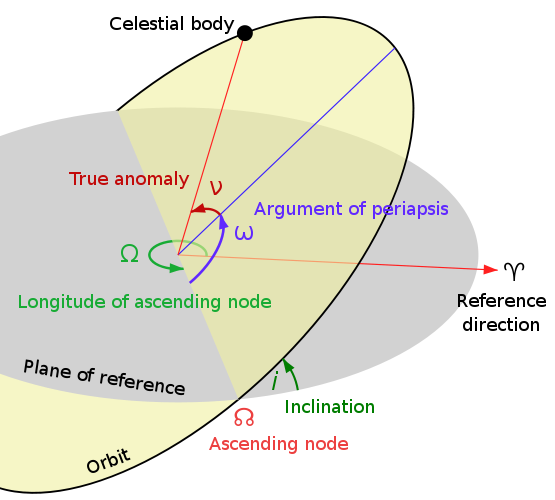 We have three angles: the inclination, the longitude of the ascending node, and the argument of periapsis. Now, these have scary sounding names, but it’s really quite simple. We begin by picking a frame of reference — any arbitrary orientation will do. We just need a plane and a direction. For simplicity’s sake, let’s just pick the plane that runs through the earth’s equator, and it doesn’t really matter what direction along that plane we choose for our reference direction — we just need to pick one. Once we’ve done that, we look at our parameters. Inclination is the angle between the plane of the orbit and the reference plane. An inclination of zero degrees is one that stays right above the equator, moving eastward. An inclination of 90 degrees goes over the north and south poles. An inclination of 180 degrees hugs the equator, but in a reverse motion, moving to the west. The space shuttle can launch to inclinations between 28 and 58 degrees. For any nonzero inclination, there are two points where the orbit intersects the equatorial plane. We call these the ascending and descending nodes. The ascending node is when the orbit crosses the equator moving to the north, and the descending node crosses moving to the south. We complete our orientation of the orbital plane by assigning the longitude of the ascending node, which is just the angle between our reference direction and the ascending node. We’ve now completely defined our orbital plane, but we have not yet determine how our orbit fits in it. This is where the argument of periapsis comes in. This tells us how our orbit is oriented within the plan we defined with the last two parameters. It’s defined as the angle formed between the periapsis — the closest approach to earth, or whichever object we’re orbiting — and the ascending node. These five parameters tell us everything about the shape and orientation of an orbit, but there’s one item missing. We need to know where we are in this orbit. We use the term anomaly to define where our spacecraft is along our orbit at a particular point in time. Once we know these six parameters, we have completely defined our orbit around a body like Earth. In the next entry, I will discuss how you go about changing these parameters — or, how you get from one orbit to another.